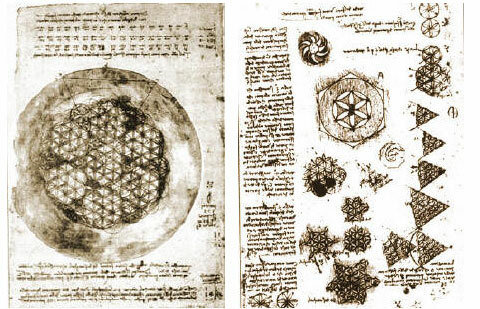 Components of the Flower of Life have been a part of the work of Alchemists. Metatron's Cube is a symbol derived from the Flower of Life which was used as a containment circle or creation circle. More on Alchemy. 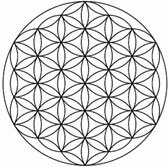 The 'Seed of Life' is formed from seven circles being placed with sixfold symmetry, forming a pattern of circles and lenses, which acts as a basic component of the Flower of Life's design. According to some, the seed of life depicts the 7 days of creation in which God created life. The 'Egg of Life' is also a symbol composed of seven circles taken from the design of the Flower of Life.The shape of the Egg of Life is said to be the shape of a multi-cellular embryo in its first hours of creation. The 'Fruit of Life' symbol is composed of 13 circles taken from the design of the Flower of Life. It is said to be the blueprint of the universe, containing the basis for the design of every atom, molecular structure, life form, and everything in existence. 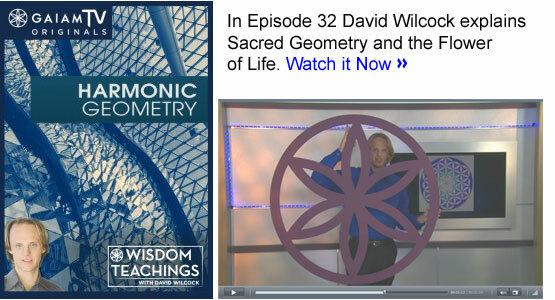 It contains the geometric basis for the delineation of Metatron's Cube, which brings forth the platonic solids. The Temple of Osiris at Abydos, Egypt contains the oldest known examples of the Flower of Life. They are at least over 6,000 years old and may date back to as long ago as 10,500 B.C. or earlier. It appears that it had not been carved into the granite and instead may have been burned into the granite or somehow drawn on it with incredible precision. It is thought to possibly represent the Eye of Ra, a symbol of the authority of the pharaoh. Other examples can be found in Phoenician, Assyrian, Indian, Asian, Middle Eastern, and medieval art. Israel - ancient synagogues in the Galilee and in Mesada. India - The Harimandir Sahib (Golden Temple), Hampi, and the Buddhist Temples in Ajanta.